We have a long list of things going on. Some done. Some waiting on things. Others on a list. 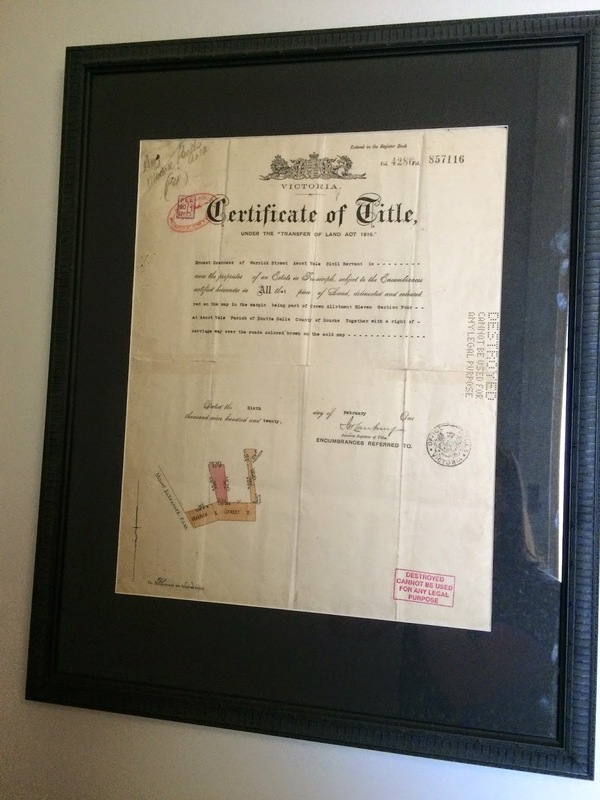 One thing so far that we have done and that we absolutely LOVE is having x 2 original Certificates of Title for the property professionally framed. There is tow of these and they have been framed with glass on the back on them so you can see all the old details of owners & transfers etc... They are hanging on the wall in the front entrance. It was a SUPER EXPENSIVE exercise but worth every penny we think! (Sorry, no picture of the back, getting the 2 frames to be square and straight was no easy task!